Smartphone Mums - are you backing up your photographs? We're truly in a era of technology with 92% of mums using smartphones to snap precious photos of their children. New research conducted by Nero shows that 42% of these mums would lose everything if their phone was broken or lost. A fifth of these have lost a treasured photo already. Out of the 67% of mums who do back up their photos, 76% use their computer and 49% use their social media accounts despite the fact that some sites "own your images" when you do this. On average, mums will snap around 1.1 photos per day but 7% snap 100 a month (I'm probably a heck of a lot more than that!). A quarter of the mums surveyed said that they have over 200 photographs saved on their phones and one mum even admitted that she would lose 12,000 pictures if she lost her phone! Please, please, please back up your photos so that your children will still have their childhood photos when they are older! 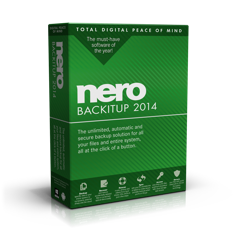 Nero actually have a FREE cloud storage called BackItUp, what are you waiting for? Get saving! 1 comment on "Smartphone Mums - are you backing up your photographs?" Yep I am....Mine get uploaded to Dropbox! Phew! I would be devastated if I lost them.